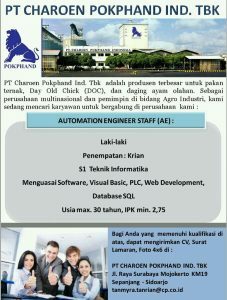 Lowongan Kerja Automation Engeneer Staff (AE) PT. Chaeron Pokphand Ind. Tbk.